Detroit News: "Laura Cox, a former state legislator now running for Michigan Republican Party chair, accused Benson of trying to "rig the system in favor of Democrats." She noted that Brewer, one of nine attorneys for plaintiffs, gave Benson a $500 campaign contribution in 2017." Help me fight these unreasonable actions by partisan Democrats. Please go to lauraforchair.com and learn how we can start preparing for the 2020 elections today! I want to congratulate Speaker Lee Chatfield for his willingness to help President Trump by offering the Michigan Capitol for next week’s State of the Union while Nancy Pelosi and the Democrats continue to obstruct. President Trump called Speaker Chatfield to tell him that the State of the Union will not take place in Michigan. No matter where President Trump winds up giving his State of the Union, I appreciate Speaker Chatfield’s leadership in this matter. I also appreciate Speaker Chatfield’s endorsement of my campaign. I was so excited to see John James on Hannity earlier this week. John did a great job as usual and has a bright future in the Republican Party. I am proud to have John’s endorsement. I am grateful to have the support from the Honorable Kurtis Wilder. For many years, Kurt Wilder worked hard to preserve Michigan’s Judicial system being appointed to Washtenaw County Circuit Court, elected to the Michigan Court of Appeals, and then later he went on to be appointed to the Michigan Supreme Court. We are proud to have the Honorable Kurt Wilder as part of the team. 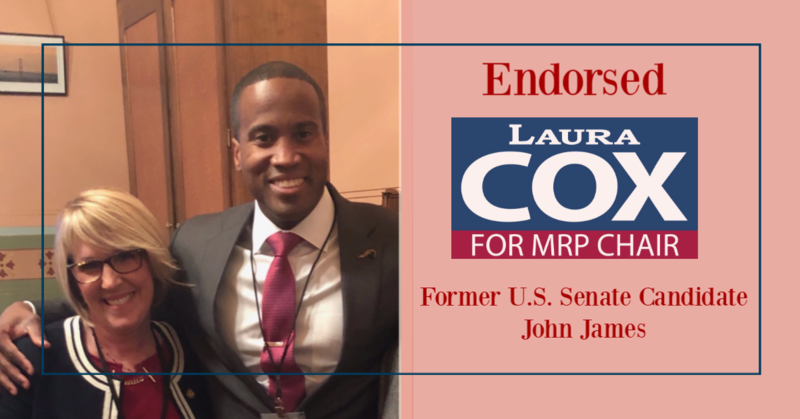 “I am proud to endorse Laura Cox for Michigan Republican Party Chair. Laura has been a grassroots leader who gets the job done. As the Wayne 11 Chair and 11th District Chair, Laura has been a strong conservative who has helped so many Republicans. I'm confident that Laura has what it takes to lead Republicans to Victory in 2020. 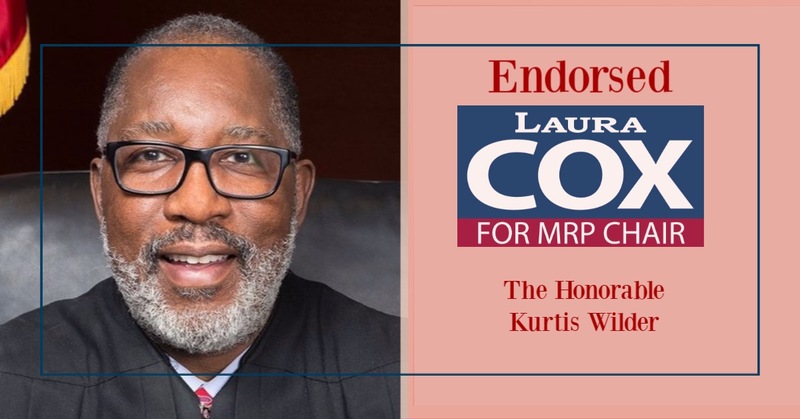 Please join me in supporting Laura Cox for Michigan Republican Party Chair,” said the Honorable Kurt Wilder.